It's been quite some time (yes, pun intended) since I've had the chance to write anything - been a bit preoccupied with other things. One of the things I have been doing in my time (there it is again) away from blogging is reading lots. Specifically, I've been doing a lot of academic reading in the field of Christian-Muslim Relations and Christian and Islamic history. Reading in academia on Christianity and Islam has made me take note of a fairly large inconsistency in scholarship regarding scholars' choices for designating time. The use of BC (Before Christ) and AD (Anno Domini - Latin 'in the Year of Our Lord') is obviously out of style in the Western academy these days, being replaced more and more by BCE (Before Current Era) and CE (Current Era). Forget the fact that this politically correct silliness is really just, well, academic silliness, since merely changing the terms doesn't change the fact that the delineation still stands (i.e. the break between BCE and CE just happens to revolve around the birth of a certain Jew from Palestine)! 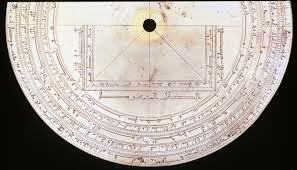 Be that as it may, what is more silly to me is the way that Western academics who choose to use BCE and CE when discussing the Gregorian calendar simultaneously choose to use the Islamic dating system (AH - Al Hijri) when discussing the same dates. Thus, I often read things such as, "In 634CE / 12AH, so and so said such and such...". So in the very same sentence, an author is trying to be politically correct by not daring to use a term which references the life of Jesus Christ, while at the same time he uses a term which references the life of Muhammad. Hello people, am I the only one who finds this pathetic? Either make it all secular, or keep it all religious, but don't cut one and keep the other! PC conscious folks are never bothered by inconsistency. Whether the details like AD/CE, or the big issues of how different people are actually treated. No matter what religion or philosophy is in charge, it is usually the faithful Christians who come out at a disadvantage, or taking the back seat.